(CNN) - Saying that states can't wait for the federal government to tighten gun control legislation, the governors of Connecticut, New Jersey, New York and Rhode Island announced the formation of a partnership to combat gun violence. The "States for Gun Safety Coalition" will initially only include the four neighboring states, but state leaders hope others will join the group in the future, the governors explained in a media conference call Thursday. New York Gov. Andrew Cuomo said he also hoped that in the aftermath of the massacre at Florida's Marjory Stoneman Douglas High School last week, the federal government would take action, "but we're not going to hold our breath and we're not going to risk our children's lives." The coalition will start a multi-state task force to trace the sale and use of out-of-state guns in crimes, the group's memorandum says. Intelligence agencies and law enforcement from the coalition states also will share information -- for example, about individuals disqualified from possessing a firearm. These actions will be taken within the bounds of current state and federal laws, according to the memorandum. Connecticut Gov. 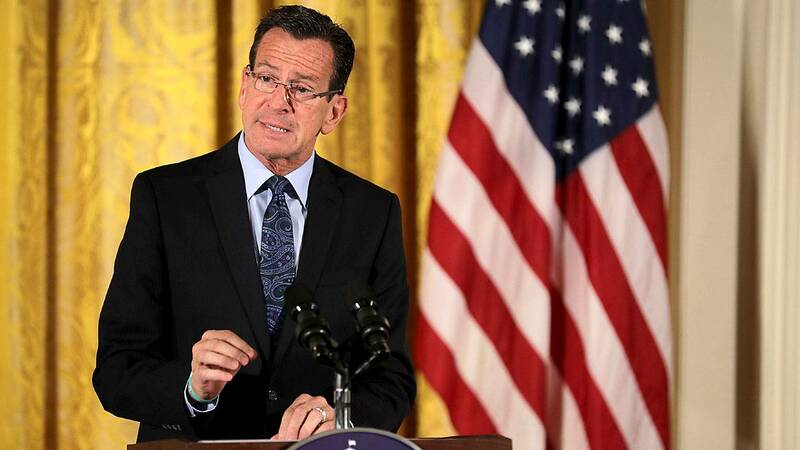 Dannel Malloy said part of the effort is to target guns sold within the "gun show loophole." "And we know what happens down south: they have these things, those guns get on I-95, and stops are made in Washington and Philadelphia and other cities, and in my state Bridgeport or Hartford or New Haven, and all the way up through New England. Those guns are resold. They end up on the street. They may not be used in mass crimes, but they're used in crimes on the street on a regular basis," he explained. Some states have stricter rules about gun shows. Only 12 states require expanded background checks at gun shows for handguns as well as rifles and shotguns, according to the Brady Campaign, a gun control group. The coalition will create a regional response plan for mass gun violence using collective investigative resources, the memorandum said, but no timeframe was given for that project. The governors also announced plans to open what they say will be the nation's first Regional Gun Violence Research Consortium. New Jersey Gov. Phil Murphy said they're considering organizing the consortium through their respective state universities. The current lack of gun violence research is due to federal government policies, New Jersey Gov. Phil Murphy said. "We have to remember that the federal government has had a provision in place now for over 20 years that effective bars the Centers for Disease Control and Prevention from studying gun violence. So it has devolved to the states, now for over 20 years, and our thought is perhaps if we can do it in a coordinated way, the more of us at it, hopefully the better result and meaningfully propelling things like smart gun technology," Murphy said. Rhode Island Gov. Gina Raimondo said the collaboration will put together existing resources that will strengthen efforts against gun violence for all member states. "Not necessarily an additional expenditure of funds, you know. We're all going to pass stronger gun laws in our states. We're going to do that on our own. But we're also going to combat through a regional approach with information sharing," Raimondo said.